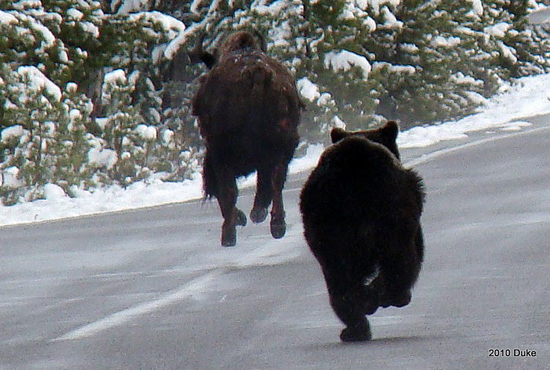 Incredible photos of a grizzly bear chasing a buffalo/bison. 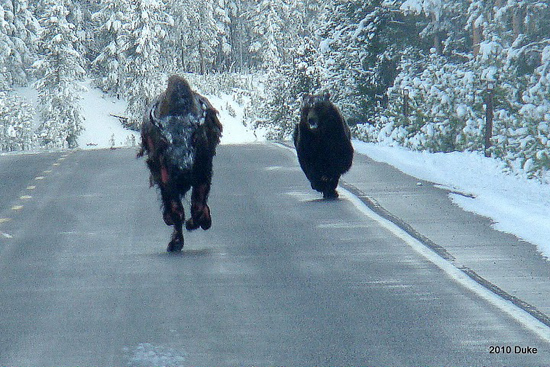 The buffalo went into the woods and avoided the bear. 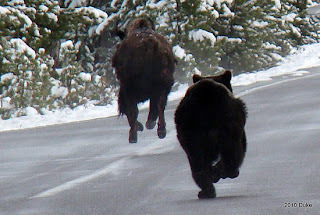 BTW, the buffalo looks a bit strange because he is burned from falling into one of Yellowstone's thermal pools.